A very heavy, intense white floral fragrance. Great alternative to tuberose absolute (extremely pricey!). The legend of Tuberose in France- warns young girls should not breathe in its fragrance after dark for fear that it would put them in a romantic mood. 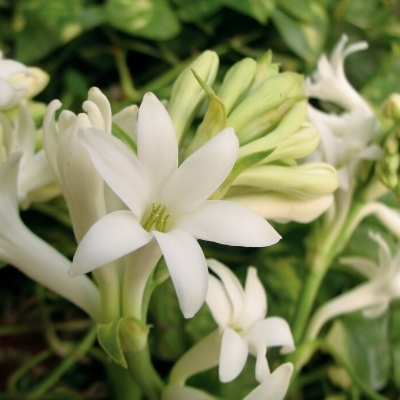 In India tuberose is known as rat ki rani (mistress of the night) for similar reasons.